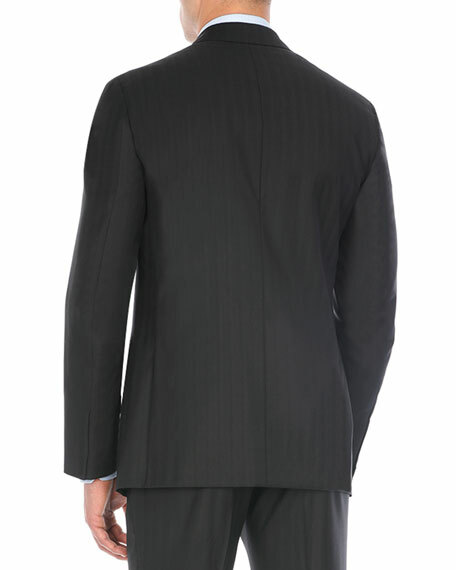 Isaia two-piece suit in tonal stripes. 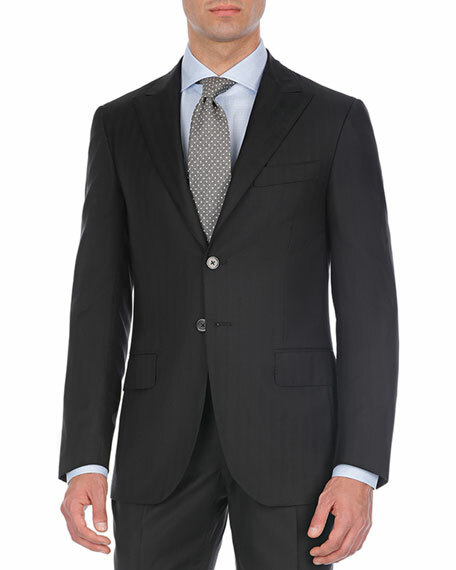 Ermenegildo Zegna two-piece suit in textured solid weave. Notched lapel; two-button front. Basted sleeves. Lightly padded shoulder. Front patch pockets; chest welt pocket. Trim fit. Double vent. Straight-leg pants. Wool. Made in Switzerland. Model's measurements: Height, 6'1"/185cm, Suit 40L, Shirt 15 x 35, Waist 32"/81cm, Inseam 34"/86cm. Isaia two-piece suit in textured solid weave. Notched collar; two-button front. Finished sleeves. 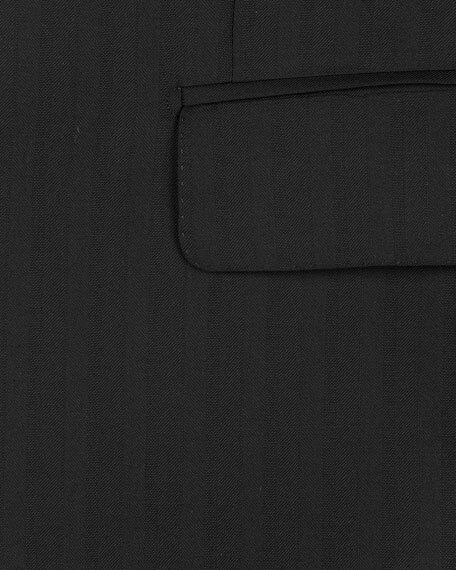 Patch pockets at hips. Classic fit. Double vent. Flat-front pants. Wool/nylon/spandex. Made in Italy. Model's measurements: Height, 6'1"/185cm, Suit 40L, Shirt 14.5 x 34.5, Waist 32"/81cm, Inseam 32"/81cm. TOM FORD "O'Connor" base suit in solid stretch-wool. Narrow peak lapel; hand-finished, double-stitched silk buttonhole. Two-button front with horn buttons.